Last Saturday I got the chance to attend a seminar by Dan John. 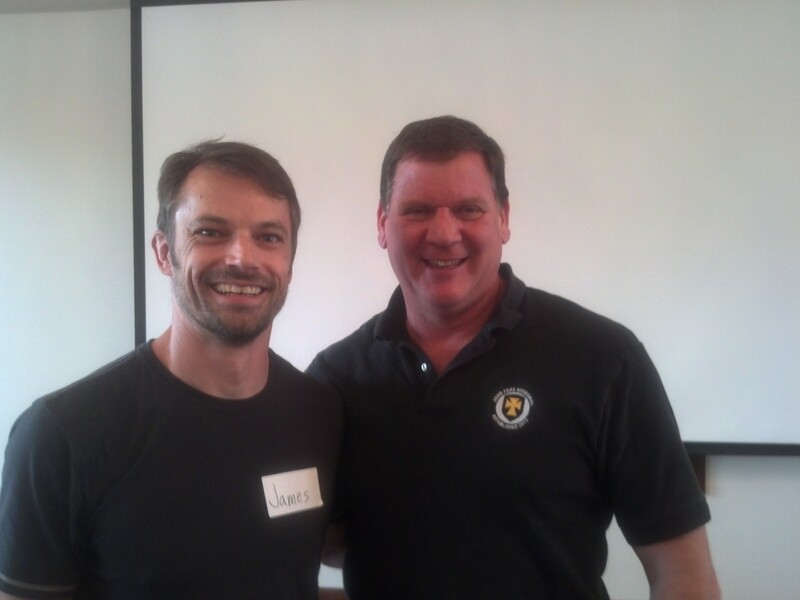 Dan is one of the brightest strength coaches in the world and someone I have followed for a long time. 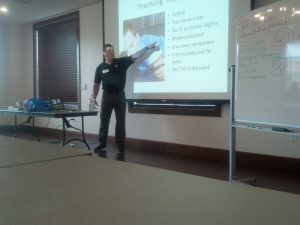 When I found out he was just 4 hours away I jumped on the chance to see him present his training philosophy in person. Dan is one of the guys who have stood the test of time in my book and one of the few guys I still follow in the fitness industry. His blog www.danjohn.net and his books Never Let Go, Intervention, Mass Made Simple and Easy Strength are gold mines of information and have had a big influence on my programs. 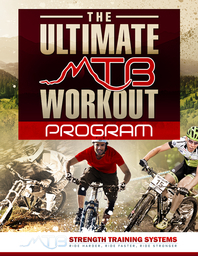 In fact, those of you doing the Ultimate MTB Workout Program v5 can thank Dan for all the loaded carries, something I had been neglecting for way too long and make a huge impact on posture and performance. So after driving the 4 hours and suffering through one of the noisiest nights ever in a hotel thanks to some out of control kids and a desk clerk who decided to keep the pool open until midnight I found myself sitting down in front of Dan waiting to write down some wisdom from the man himself. – If you need more than 1 pillow to get comfortable at night then you have some sort of joint mobility problem. This includes two pillows under your head or one pillow folded in half (I asked). After going home and trying to sleep with one pillow under my head I found that my neck felt better and the reason I needed two pillows was because I was using two pillows. For everyone else, though, this is a good question to ask yourself and if you find that you need several pillows in strategic locations you need to do more mobility work. – People need to learn what “reasonable” workouts and diets are. The fitness industry is full of workouts and diets that are close to impossible to carry on long term and few people really understand what a reasonable workout should look like. The trick is find things that are effective but reasonable and repeatable long term. – Finish the hunt. This came from the Gnolls Credo which is 1) Plan the hunt, 2) Hunt and 3) Discuss the hunt. The idea is to have a way to improve your approach but so many of us get lost at step 2. We get a great plan but we get a week or two into it and then we lose interest and start to tweak things or change things up. The problem is that never lets us get to step 3 and we have nothing to really “discuss” and analyze. When there is no plan or we fail to execute the plan and “finish the hunt” we have no real way to improve our approach. For me planning the hunt is no problem but I need to be more consistent with finishing the hunt. – Strive for mastery. People need to understand that there will be plateaus in the process and that mastery falls in love with those plateaus. I love Dan’s emphasis on the word Mastery and how he encourages people to seek it on the path to strength and fitness. I encourage the same thing from my clients because it is the only way to stay in love with the training process for a long time. Eventually you’ll run out of new exercises, training tools and routines and the only thing left is to go deeper into what you already know instead of seeking new things. – Focus on standards and gaps and let everything else come from playing your sport. You need to have some movement and strength standards you look for and the program should look to fill in the gaps. And since all sports emphasize some movements and patterns over others, making sure that you are addressing those things before more gaps appear is another goal of a strength training program. For the record, Dan feels that deep squats and loaded carries are the key to taking care of a lot of the common standards and gaps issues we see with most people. – Lifting helps you learn how to play with the “tension knob”. For me this term was worth the price of admission because it sums up something I’ve been trying to figure out how to explain for a while. Most riders have no control of their “tension knob” and can’t fine tune how hard their pedal stroke is, especially when standing. This results in the rear wheel slipping out a lot and the conclusion that you have to sit down to get good traction. However, when you know how to better control your tension knob you can feel the tension in the pedals and apply just the right amount of force so you maintain traction instead of slipping out. This is a skill that you already possess and just need to learn how to apply it to the bike and the first step is using strength training to teach you how. 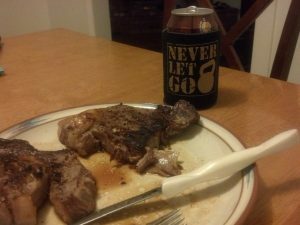 – Getting your nutrition under control really boiled down to some simple steps. Start tracking your food to begin establishing some good habits, using that journal to help you establish more good habits or manipulate macro-nutrients and resorting to Black & White diets which are usually a btt extreme in some way for short term goals or to shock the system. – The quality of the food sources has much more to do with your results than anything else. You can eat one meal a day, six meals a day or anything in between and it can all work as long as you are focusing on quality. Don’t get hung up on specifics and feel free to experiment and find what works within the context of quality food choices. – Sometimes adding more more good stuff to your diet leaves less room for bad stuff. Focusing on what you should be adding in is a different mindset than what you should take out and may be a better approach for some people. – The sign of an authority is usually Less Equals More. They generally encourage that you use the minimum effective dosage. The goal of a program is not to figure out how much you can survive but how little you can do to see the best results. More isn’t better, better is better but this often gets lost in a world where seeing who can suffer the most often passes as “training”. – Mastery of fundamental movements trumps everything. If your program doesn’t include this component then you are really selling your results short. This is why mobility and strength training are important for an endurance sport like mountain biking since it is the best way to work on this component. We also had some hands on sessions where I learned some great stretches and exercises to add to the toolbox. I’ll be shooting some videos later today of the Stick Windmill, which is a stretch that will really help those of you who struggle with cornering your bike. All in all it was one of the best seminars I’ve attended and one of the few times I didn’t come away disappointed after meeting someone I really look up to in the fitness industry. So many times you find out that people aren’t who they seem to be when you meet them in person but Dan is the real deal. If you get a chance to see him present I highly recommend it. Oh, and I got this sweet beer koozie as well. Here I am putting it to good use after driving back home. That’s it for now, if you have any questions or comments just leave a comment below this post. And if you liked this article please click one of the Like or Share buttons to help spread the word. Great post James! I love me some Dan John. When I listen to him speak, for a while I start to think he’s slightly crazy but then he brings everything together and makes you think he’s a genius. Only guy I know who can reference the Underpants Gnomes and make it tie into strength training. I usually use no pillows while sleeping on my back, sometimes a very thin one. I will fold that one over when I sleep on my side. I get a stiff neck otherwise. Step one collect underpants! Dude! Have you been smoking that medical Mary Jane out there in Colorado?? I heeded your advise and switched to flats after years on clipless pedals (great advise)… I even started using kettle bells in my weekly workouts (again, great advise). But, now I must draw the line… One pillow? ONE PILLOW?? This goes against everything we all hold dear, apple pie, ice cream… belts instead of suspenders.. you know, core American values. Why would I possibly want to give up a soft comfortable 2 pillow night… all for the sake of a little more mobility? Never! You will have to pry the pillow out of my cold dead hands. Seriously, I was instructed by my doctor to place a pillow between the knees in order to keep the hips in alignment if sleeping on your side… especially after the two back surgeries… seems to work. Soon to be 73 and still riding a belt drive single speed.